Most people prefer to have privacy when they are staying at a game lodge. It is widely known that celebrities have an enormous desire for privacy, because they have virtually become public property due to their public persona and fame. Such a fervent desire to escape public attention is undoubtedly part of the reason why so many celebrities love to visit luxurious private game lodges in private game reserves in South Africa, but they are by no means the only people who treasure the discreet privacy provided by private, access controlled lodge establishments. Most people, who are not particularly widely known, also wish to experience the bushveld in a manner that makes them feel as though they are the only guests at an exclusive, private game lodge like Fifty Seven Waterberg in Welgevonden Game Reserve. 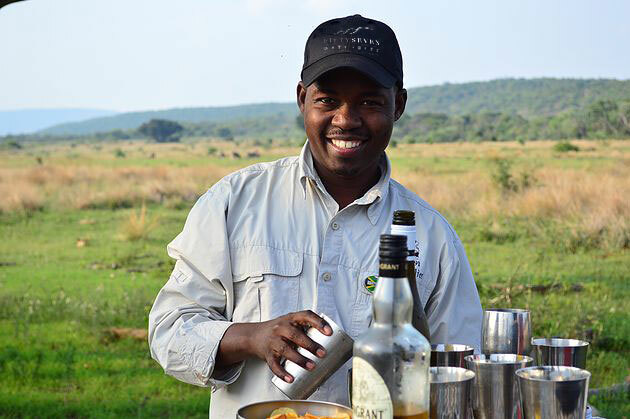 We strive to offer all our lodge guests 5-star luxury and all the privacy they require, at affordable rates. Welgevonden is located in the Waterberg region, approximately a three-hour drive from Pretoria and a little further from Johannesburg and OR Tambo International Airport. Guests travelling to Fifty Seven Waterberg private game lodge should note that their vehicles will be securely and safely parked upon arrival at Welgevonden’s West Gate, from where visitors will be collected by a staff member, driving a vehicle that is suitable for bushveld terrain. Self-drive game viewing is not permitted within Welgevonden’s untamed bushveld. Game viewing trips are between two and a half and three hours, and take place in the early mornings and late afternoons. Our rangers take you deep into the bushveld, which enables you to see Welgevonden’s animal inhabitants, including the Big Five. A maximum of ten adults are accommodated at Fifty Seven Waterberg at a time. It is also possible to book the entire lodge for exclusive use and maximum privacy (depending on availability). All private, spacious thatched suites are similar. Our two honeymoon units also have private Jacuzzis. Game viewing trips are designed for ten people, and are not conducted exclusively. Walks or runs in Welgevonden are potentially too dangerous to be permitted, because the game reserve is home to the Big Five. In-room massages are also optional, and can be arranged if you place a special request. Because we would like you to relax, there is no dress code at Fifty Seven Waterberg. Bring season-appropriate, comfortable, and casual clothes. Wear closed shoes to walk in from suites to the main game lodge building, as well as warm garments for morning game drives and during winter months. We also recommend packing your sunscreen, hat, swimsuit, camera, binoculars, and reading material. Cash or credit cards are accepted at our curio shop. At Fifty Seven Waterberg, you can relax, while we take care of the rest. You do not need to lift a finger while you are our guest at our private game lodge in Welgevonden. Judging by the numerous awards and outstanding guest reviews that we have received, you can be sure that you will get the best private game lodge experience.